In my last post, I showed that, once your photos are converted to digital, they must be maintained so that they can be viewed on changing technology. Archivist recommend copying your family photos and related data to new media every few years. some say every 10 years, others say 5 years. In some cases once a year. They say you need to make a commitment to do that. Fine, but what about after you pass from this life? What then? You can't do it for 1,000 years. In my last post I asked "Which image will last the longest?" [B] A digital image on a M-Disk. [C] A sidewalk chalk drawing. This sounds crazy, but the best answer might be [C]. A farmer had horses for sale. He made a sign on the hillside easily visible to people passing by on a popular route. The farmer spread chalk on the hillside to make a 348 foot long drawing of a horse. It might have looked like this. The rain washed it away. He spread more chalk. The wind blew it away. He marked it out with sticks and had his family help spread more chalk. Weeds grew up and hid his sign. He had his farm hands pull the weeds. Storms washed silt down over the sign and covered the sticks that outlined it. The farmer enlisted some villagers to help make shallow ditches to outline the sign. They filled them with chalk to reduce the growth of the weeds. The rocks removed from the ditches helped prevent silt from washing down and covering the chalk. The farmer rewarded the villagers with a huge feast, music, dancing, storytelling and free Coors beer. 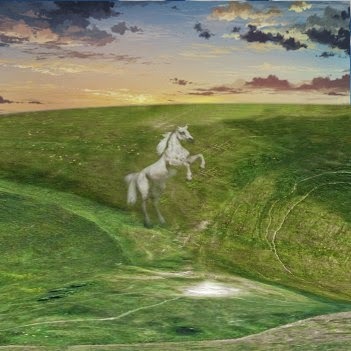 The horse image lasted a year before it started to fade out again. The farmer held another huge feast and the villagers came again to maintain the horse. It became an annual event. So. How long did the farmers chalk sign last? He created the horse drawing during the bronze age, roughly three thousand eight hundred years ago. The horse is still visible today. 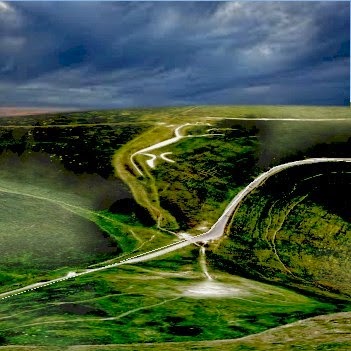 It is called the Uffington White Horse. If a bronze age farmer can figure out how to maintain an image for nearly four century's, why can't we? No doubt he wasn't a MIT grad. So, maybe the answer isn't technology. Maybe we should look at applied social anthropology instead of technology for the answer. In my next post I'll discuss what anthropology can teach us about preserving our family photos.